The FBI theory seems to be this: an informant in a Dorchester garage accused Merlino of being involved, and someone else in the same garage knew Gentile, who had some police paraphernalia in his house. Really? Put that way, it is pretty clear why the FBI has not arrested anyone or offered more information: it cannot prove any of this. The FBI said a year ago that it knew who was responsible, but clearly does not want to accuse Gentile directly. Instead, it is essentially asking the public to connect the fact that Gentile has some relation to Philadelphia, to the uncorroborated offers for sale in an “I’m just saying” sort of way. The Gardner heist is a civic tragedy in here in Boston. It struck at one of our most treasured institutions. I can still picture the full-page headline in the Boston Globe the day that it happened (the Art Law Report was just a gleam in the eye of a local high school student then). But these recycled stories are not advancing the ball. If the FBI thinks it has a case against a responsible person, it should move on that information. If it is simply going to make insinuations, it should stop. 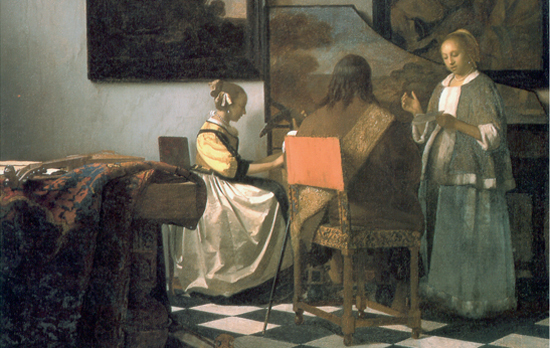 “Thieves Took $500M in Art in 81 Minutes.” Accessed March 26, 2013. http://ac360.blogs.cnn.com/2013/03/22/thieves-took-500m-in-art-in-81-minutes/. But the headline makes it seem a recovery is closer at hand than it may be. Every day after St. Patrick’s Day, I’ve come to expect pieces discussing the theft of $500 million worth of art from the Isabella Stewart Gardner Museum. But today’s stories are a little different. The FBI has used today’s anniversary to “widen the aperature of awareness” of the crime through a press release, webpage, and billboards. They say they know that the art was transported to Connecticut and Philadelphia after the theft. And the FBI even says it knew who the thieves are, though they aren’t releasing that information. What they hope to accomplish is a recovery, and to do that they need a member of the public to come forward with some information. It’s a worthy goal, hopefully the attention will finally secure the return. Here’s the FBI’s press release, and here is the special webpage the FBI has created to announce its $5 million reward. As usual, a combination of master art thieves and faulty security was blamed. But this seductive scenario is often, in fact, far from the truth. Most of us envision balaclava-clad cat burglars rappelling through skylights into museums and, like Hollywood characters, contorting their bodies around motion-detecting laser beams. Of course, few of us have valuable paintings on our walls, and even fewer have suffered the loss of a masterpiece. But in the real world, thieves who steal art are not debonair “Thomas Crown Affair” types. Instead, they are the same crooks who rob armored cars for cash, pharmacies for drugs and homes for jewelry. They are often opportunistic and almost always shortsighted. MONTAGNE: And do insurers pay ransom? MARINELLO: Absolutely not, they do not want to encourage further art theft and then the thieves are going to have to go to Plan C. They usually contact me and see if I have any ability to pay them to return the works. They won’t succeed there, either. The pieces are likely to travel in the underworld at a fraction of their true value, maybe five or 10 percent, used as currency for drugs, weapons, even something called a Get Out of Jail Free card. If a criminal thinks that they’re going to be arrested, they may try to make a deal with the prosecutor for a lesser sentence, if they have information that leads to the recovery of the seven paintings. MONTAGNE: Is it likely than that they will resurface eventually? MARINELLO: Well, I have a lot of faith in the Dutch police and they are meticulous. We might see something over the next few weeks. I mean sometimes when they realize they can’t get rid of the haul that they just brought home, they just return them. But if we don’t see that happening in the next few weeks, it could be decades before these resurface. Here’s the story on selling stolen art. Paintings that are stolen like last night, those pieces that were taken out of the Kuhnsthal museum, are not going to get sold on any kind of market, whether it’s a black market or any kind of market. They’re going to get recovered. But what happens with pieces that are worth much less — let’s say the $10,000 and less market, pieces that aren’t well known — is a burglar goes into a home and steals a $5,000 painting. That can be sold in a flea market, that can be sold on what they call the secondary art market, because it’s not well known. And that’s the vast majority of art heists. It’s not these once a year museum thefts. It’s burglaries around the world. And that’s the major part of the art theft business and the collectibles business. Even the smaller works of art have no value if they have no provenance, authenticity, or legal title. But when you talk about pieces that are under that amount, people don’t do the due diligence. When people go in and pay $5 million for a Cézannes, they’re going to do the due diligence to make sure everything is right. If a piece is $300 at a flea market, it’s not done. On September 8, 2011 this work by Renoir was stolen by an armed man wearing a ski mask. The owner of the painting was upstairs and discovered the thief downstairs. Today the FBI’s art crime team has added it to their list of ten art crimes list, giving the theft and the work considerable exposure which substantially increases the likelihood of a recovery. The FBI notes that since the creation of the list in 2005 six paintings and one sculpture have been recovered. A reward of $50,000 is offered for information leading to a return. Information can be submitted online at fbi.gov. America is the largest consumer of artwork in the world, with a 40 percent share of the $200 billion global industry. It’s also the scene of nearly half of the illegal art trade estimated to be worth another $7 billion worldwide. Yet other countries pay far more attention to art fraud. Italy has several hundred detectives on its Carabinieri Art Squad, and Greece, France, Germany and Belgium all have national units working the detail. In contrast, the FBI’s Art Crime Team, co-founded by a Baltimore native whose father ran an antiques shop on Howard Street, is made up of one archaeologist and 13 agents, who work the beat on the side. And the Los Angeles Police Department’s Art Theft Detail consists of just one investigator, a man who is delaying retirement because he’s afraid the division will die if he leaves without a trained successor. The piece looks at three of the main groups tasked with art crimes in the United States: The Art Crime Team, the Archival Recovery Team, and Don Hrycyk at the LAPD. As I said in the piece, these folks have an essential job, and given the fact these crimes are still relegated to the status of non-violent property crimes in many cases, they don’t rise to the level of illegal narcotics or terrorism or other priorities law enforcement must tackle. But there is a fundamental difference between property and historical objects and art, and more attention should be paid to them. America as a country might be thinking too much about owning and buying these objects, and not enough about acting as stewards. Tricia Bishop, Art investigators: Saving the country’s cultural heritage, one recovered work at a time, Baltimore Sun, October 23, 2011, http://www.baltimoresun.com/news/maryland/baltimore-city/bs-md-history-thieves-20111007,0,443863,full.story (last visited Oct 26, 2011). "Do you have to look like a pretentious a-hole?" Author Derek FinchamPosted on August 4, 2011 Categories UncategorizedTags Art Theft, FBI Art Crime Team, Stephen ColbertLeave a comment on "Do you have to look like a pretentious a-hole?"